How does the brain absorb new ideas? 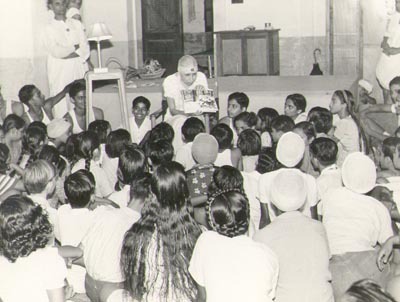 Over the years, the Mother conducted numerous dialogues with students at the Ashram school in which she expatiated on the proper method of studying and diligently developing the mind. What seem like banal exhortations are in reality infused with innate wisdom, as becomes evident when we juxtapose her insights with anecdotes from the lives of scientists such as Richard and Joan Feynman, Stanislav Ulam and Sofia Kovalevskaya. Once the American physicist, Richard Feynman, was staying at house of his sister Joan (an astrophysicist). As he was cogitating over a research paper, he said to her, “I can’t understand these things that Lee and Yang are saying. It’s all so complicated.” She responded,” No, what you mean is not that you can’t understand it, but that you didn’t invent it. You didn’t figure it out your own way, from hearing the clue. What you should do is imagine you’re a student again, and take this paper upstairs, read every line of it, and check the equations. Then you’ll understand it very easily.” Feynman followed her advice and found the paper obvious and simple . Question: What is the nature of the power that thought possesses? How and to what extent am I the creator of my world? Mother: According to the Buddhist teachings, every human being lives and moves in a world of his own, quite independent of the world in which another lives; it is only when a certain harmony is created between these different worlds that they interpenetrate and men can meet and understand one another. This is true of the mind; for everybody moves in a mental world of his own, created by his own thoughts. And it is so true that always, when something has been said, each understands it in a different way; for what he catches is not the thing that has been spoken but something he has in his own head. But it is a truth that belongs to the movement of the mental plane and holds good only there. For the mind is an instrument of action and formation and not an instrument of knowledge; at each moment it is creating forms. Thoughts are forms and have an individual life, independent of their author: sent out from him into the world, they move in it towards the realisation of their own purpose of existence.… There is one thing certain about the mind and its workings; it is that you can understand only what you already know in your own inner self. What strikes you in a book is what you have already experienced deep within you. Men find a book or a teaching very wonderful and often you hear them say, “That is exactly what I myself feel and know, but I could not bring it out or express it as well as it is expressed here.” When men come across a book of true knowledge, each finds himself there, and at every new reading he discovers things that he did not see in it at first; it opens to him each time a new field of knowledge that had till then escaped him in it. But that is because it reaches layers of knowledge that were waiting for expression in the subconscious in him; the expression has now been given by somebody else and much better than he could himself have done it. But, once expressed, he immediately recognises it and feels that it is the truth. The knowledge that seems to come to you from outside is only an occasion for bringing out the knowledge that is within you. The experience of misrepresentation of something we have said is a very common one and it has a similar source. We say something that is quite clear, but the way in which it is understood is stupefying! Each sees in it something else than what was intended or even puts into it something that is quite the contrary of its sense. If you want to understand truly and avoid this kind of error, you must go behind the sound and movement of the words and learn to listen in silence. If you listen in silence, you will hear rightly and understand rightly; but so long as there is something moving about and making a noise in your head, you will understand only what is moving in your head and not what is told you” . Another edifying anecdote concerning the Feynman siblings is pertinent to this discussion. When Joan was just thirteen years old, Richard presented her with a challenging college-level textbook on Astronomy. She asked him, “How can I read it? It’s so hard”. He encouraged her by saying, “You start at the beginning and you read as far as you can get, until you are lost. Then you start at the beginning again, and you keep working through until you can understand the whole book”. As it turns out, Joan Feynman kept at it diligently and went on to become an astrophysicist. Question: Why are certain subjects so very difficult? Mother: That is due to many things — to the formation of the brain, to atavism, to the early years of education, particularly to atavism. But there is a very interesting phenomenon here: each new idea forms a kind of small convolution in the brain, and that takes time. You see, you are told something which you have never heard before; you listen, but it is incomprehensible, it does not penetrate into your head. But if you hear the same thing a second time, a little later, it makes sense. It is because the shock of the new idea has done a little work in the brain and prepared just what was necessary for understanding. And not only does it build itself up, but it perfects itself. That is why if you read a difficult book, at the end of six months or a year you will understand it infinitely better than at the first reading and, at times, in a very different way. This work in the brain is done without the participation of your active consciousness. The way the human being is at present constituted, the time factor must always be taken into account. Question: Is it the brain or the presence of thought that produces the shock ? Around 1919-1920 so much was written in newspapers and magazines about the theory of relativity that I decided to find out what it was all about (he was 10 years old at this time!). I went to some of the popular talks on relativity, I did not really understand any of the details, but I had a good idea of the main thrust of the theory. Almost like learning a language in childhood, one develops the ability to speak it without knowing anything about grammar. Curiously enough, it is possible even in the exact sciences to have an idea of the gist of something without having a complete understanding of the basics. I understood the schema of special relativity and even some of its consequences without being able to verify the details mathematically. I believe that so-called understanding is not a yes-or-no proposition. But we don’t yet have the technique of defining these levels or the depth of the knowledge of reasons…. I had mathematical curiosity very early. My father had in his library a wonderful series of German paperback books-Reklam, they were called. One was Euler’s Algebra. I looked at it when I was perhaps ten or eleven, and it gave me a mysterious feeling. The symbols looked like magic signs. I wondered whether one day I would understand them. This probably contributed to the development of my mathematical curiosity. I discovered by myself how to solve quadratic equations. I remember that I did this by an incredible concentration and almost painful and not-quite conscious effort. What I did amounted to completing the square in my head without paper or pencil…. At about fifteen I came upon a treatise on the infinitesimal calculus in a book by Gerhardt Kowalevski. I did not have enough preparation in analytic geometry or even in trigonometry, but the idea of limits, the definitions of real numbers, the notion of derivatives and integration puzzled and excited me greatly. I decided to read a page or two a day and attempt to learn the necessary facts about trigonometry and analytic geometry from other books . What is incomprehensible for you today will be quite clear in a short time. And note that it is not necessary that you should give yourself a headache every day and at every minute by trying to understand! One very simple thing is enough: to listen as well as you can, to have a sort of will or aspiration or, you might even say, desire to understand, and then that’s all. You make a little opening in your consciousness to let the thing enter; and your aspiration makes this opening, like a tiny notch inside, a little hole somewhere in what is shut up, and then you let the thing enter. It will work. And it will build up in your brain the elements necessary to express itself. You no longer need to think about it. You try to understand something else, you work, study, reflect, think about all sorts of things; and then after a few months— or perhaps a year, perhaps less, perhaps more—you open the book once again and read the same sentence, and it seems as clear as crystal to you! Simply because what was necessary for understanding has been built up in your brain. So, never come to me saying, “I am no good at this subject, I shall never understand philosophy” or “I shall never be able to do mathematics” or… It is ignorance, it is sheer ignorance. There is nothing you cannot understand if you give your brain the time to widen and perfect itself. And you can pass from one mental construction to another: this corresponds to studies; from one subject to another: and each subject of study means a language; from one language to another, and build up one thing after another within you, and contain all that and many more things yet, very harmoniously, if you do this with care and take your time over it. For each one of these branches of knowledge corresponds to an inner formation, and you can multiply these formations indefinitely if you give the necessary time and care . I was then about eleven years old. As I looked at the nursery walls one day, I noticed that certain things were shown on them which I had already heard mentioned by Uncle(her uncle loved to talk about mathematical concepts). Since I was in any case quite electrified by the things he told me, I began scrutinizing the walls very attentively. It amused me to examine these sheets, yellowed by time, all speckled over with some kind of hieroglyphics whose meaning escaped me completely but which, I felt, must signify something very wise and interesting. And I would stand by the wall for hours on end, reading and rereading what was written there. I have to admit that I could make no sense of any of it at all then, and yet something seemed to lure me on toward this occupation. As a result of my sustained scrutiny I learned many of the writings by heart, and some of the formulas (in their purely external form) stayed in my memory and left a deep trace there. I remember particularly that on the sheet of paper which happened to be in the most prominent place on the wall, there was an explanation of the concepts of infinitely small quantities and of limit. The depth of that impression was evidenced several years later, when I was taking lessons from Professor A. N. Strannolyubsky in Petersburg. In explaining those very concepts he was astounded at the speed with which I assimilated them, and he said, ‘You have understood them as though you knew them in advance’. And, in fact, much of the material had long been familiar to me from a formal standpoint . There are probably many such anecdotes from the lives of other scientists. Why is it necessary to develop the mind? The mind, if not controlled, is something wavering and imprecise. If one doesn’t have the habit of concentrating it upon something, it goes on wandering all the time. It goes on without a stop anywhere and wanders into a world of vagueness. And then, when one wants to fix one’s attention, it hurts! There is a little effort there, like this: “Oh! How tiring it is, it hurts!” So one does not do it. And one lives in a kind of cloud. And your head is like a cloud; it’s like that, most brains are like clouds: there is no precision, no exactitude, no clarity, it is hazy—vague and hazy. You have impressions rather than a knowledge of things. You live in an approximation, and you can keep within you all sorts of contradictory ideas made up mostly of impressions, sensations, feelings, emotions—all sorts of things like that which have very little to do with thought and… which are just vague ramblings. But if you want to succeed in having a precise, concrete, clear, definite thought on a certain subject, you must make an effort, gather yourself together, hold yourself firm, concentrate. And the first time you do it, it literally hurts, it is tiring! But if you don’t make a habit of it, all your life you will be living in a state of irresolution. And when it comes to practical things, when you are faced with—for, in spite of everything, one is always faced with—a number of problems to solve, of a very practical kind, well, instead of being able to take up the elements of the problem, to put them all face to face, look at the question from every side, and rising above and seeing the solution, instead of that you will be tossed about in the swirls of something grey and uncertain, and it will be like so many spiders running around in your head—but you won’t succeed in catching the thing. If you do not have reason, you will be like a cork on a stormy sea. I don’t know if the cork suffers from its condition, but it does not seem to me a very happy one . Collected Works of the Mother, vol. 4, p 198. Collected Works of the Mother, vol. 8, p 386. Sofya Kovalevskaya. A Russian childhood, translated by Beatrice Stillman, New York : Springer-Verlag, 1978. Collected Works of the Mother, vol. 8, pp 181-183. Why read Sri Aurobindo’s books? This entry was posted in children and tagged Education, how-to-study, integral-yoga, Joan Feynman, Mirra Alfassa, Richard Feynman, science, Sofia Kovalevskaya, stanislav-ulam, The Mother on January 27, 2012 by Sandeep. I think that You do not like it very much when I do not apply myself to my studies. Studies strengthen the mind and turn its concentration away from the impulses and desires of the vital. Concentrating on study is one of the most powerful ways of controlling the mind and the vital; that is why it is so important to study. Which path must I take then? And what is the right and true way of making the effort? Do what I explained to you yesterday — make your brain work by studying regularly and systematically; then during the hours when you are not studying, your brain, having worked enough, will be able to rest and it will be possible for you to concentrate in the depths of your heart and ﬁnd there the psychic source; with it you will become conscious both of gratitude and true happiness. Just this morning there is a very big depression, so it is becoming impossible to study. O Mother, what shall I do? Force yourself to study and your depression will go away.Can you imagine a student in college coming and telling his teacher, “Sir, I didn’t do my homework today because I felt depressed”? Surely the teacher would punish him most severely. On the days when I do not study, I feel uneasy. But when I begin to study, happiness comes. I don’t understand this process. What do you mean by process? It is not a process; the disappearance of the uneasiness is the very natural result of concentrating the mind on study, which on the one hand provides it with a healthy activity, and on the other draws its attention away from this morbid contemplation of the little physical ego. So what should I do about the resistance of the physical mind? It is preventing me from studying and giving me constant trouble. First you must detach yourself from it, stop identifying yourself with its movements. I don’t know how to spend my time, since I understand nothing. Study, that is the best way to understand.You tell me to study, but I dislike studying. You don’t give enough time to study; that is why it doesn’t interest you. Everything one does with care necessarily becomes interesting. It is quite impossible for me to study, because inertia is there. If you do not study, the inertia will go on increasing. My mind does not become peaceful, I think, because I do not study hard enough. Studying does not give me much pleasure. One does not study for the sake of pleasure — one studies in order to learn and to develop one’s brain. are many books like that. A very good article. Specially the examples from Feynman brother and sister goes very well with what Mother has siad. Question: (Another child) For a mathematical problem, sometimes the solution comes quickly, sometimes it takes too long. Mother: Yes, it is exactly that: it depends on the degree of concentration. If you observe yourself, you will notice this quite well: when it does not come, it is because of a kind of haziness in the brain, something cloudy, like a fog somewhere, and then you are there as in a dream. You push forward trying to find it, and it is as though you were pushing into cottonwool, you do not see clearly there; and so nothing comes. You may remain in that state for hours. Concentration consists precisely in removing the cloud. You gather together all the elements of your intelligence and fix them on one point, and then you do not even try actively to find the thing. All that you do is to concentrate in such a way as to see only the problem – but seeing not only its surface, seeing it in its depth, what it conceals. If you are able to gather together all your mental energies, bringing them to a point which is fixed on the enunciation of the problem, and you stay there, fixed, as though you were about to drill a hole in the wall, all of a sudden it will come. And this is the only way. If you try: Is it this, is it that, is it this, is it that?.. You will never find anything or else you will need hours. You must get your mental forces to a point with strength enough to pierce through the words and strike upon the thing that is behind. There is a thing to be found find it. And it is always the days you are a little hazy that it becomes difficult. You are hazy: as though there is something you seem to catch and which escapes you. Naturally, if it is materially impossible – you do not have to deal with monsters! I believe your teachers are reasonable enough and if you go to them and say, “Well, I could not do it, I had no time, I did what I could, I did not have the time”, they won’t scold you, I don’t think so. But here ninety-nine times out of a hundred, it is a kind of half-inertia of the mind which makes you think that you have too much work. If you observe yourself, you will find out that there is always something which pulls this way, something which pulls that way and then this kind of haziness as though you were living in cottonwool, in the clouds: nothing is clear. The usefulness of work is nothing else but that: to crystallise this mental power. For, what you learn (unless you put it in practice by some work or deeper studies), half of what you learn, at least, will vanish, disappear with time. But it will leave behind one thing: the capacity of crystallising your thought, making something clear out of it, something precise, exact and organised. And that is the true usefulness of work: to organise your cerebral capacity. If you remain in your hazy movement in that kind of cloudy fluidity, you may labour for years, it will be quite useless to you; you will not come out of it more intelligent than when you entered it. But if you are able, even for half an hour, to concentrate your attention on things that seem to you of very little interest, like a rule of grammar, for example (the rules of grammar are some of the dry things I was speaking about, there are other things much more arid, but indeed the rules of grammar are sufficiently arid), if you take one of them and try to understand it – not learn it by heart and apply mechanically what you have learnt by heart, that will be of no use – but try to understand the thought behind the words: “Why was this rule formulated in this way?” and try to find out your own formula for the thing; that is so interesting. “Why has this gentleman who wrote this rule written it in this way? I am going to explain it to you: when you have understood, it forms a little crystal in you, like a little shining point. And when you have put in many, many, many of these, then you will begin to be intelligent. That is the utility of work, not simply to stuff the head with a heap of things that take you nowhere. a quarter from fellow students, and the rest in course of time. i can’t thank u enough for this article has come to me at the right and very crucial time 🙂 thank u very very much for this blog. The reason why some people are worse at learning than others has been revealed by a research team from Berlin, Bochum, and Leipzig, operating within the framework of the Germany-wide network “Bernstein Focus State Dependencies of Learning.” They have discovered that the main problem is not that learning processes are inefficient per se, but that the brain insufficiently processes the information to be learned. Sandeep: I have questions about this because most my life (since my youth) I had been diagnosed with Attention Deficit Disorder (ADD). Studies have always been difficult and even painful. And usually people become very upset with my progress since it takes me much longer to learn something – this causes me much frustration and intensity of emotion. For instance, learning Integral Yoga has been very difficult. But in this case, I do not acknowledge having learned the Yoga as an objective topic but rather I observe and tract my progress, i.e., the experience of being transformed by it as best I can. Honestly, I may never teach Integral Yoga as a topic. 🙂 And that has never been the issue. My only motive to follow SA and M is due to interior indications I receive. In the past I have made mistakes when I had thought I was being indicated to follow a certain path or topic. When mistaken like that, the progress merely stops. But in this case with Integral Yoga, and so many times I quit due to my slow progress, the interior indications continue to come even now after four plus years. This particular blog and the following comments have come closest to my dilemma. Thank You! Here is a brief lecture by Sir Ken Robert titled “Changing Education Paradigms”: The Modern Epidemic: ADHD. so they draw circles and rectangles and expect every one to fit into their math, little do they realize that they stand on Infinity. BUt i empathize with you as i have gone through the same thing here in India , but take comfort from the fact that usually it is on the sacrifice of one generation that the other generation moves onto something new. Sri aUROBInDO PUTS THIS FACT OF SOCIETY SOMEWHERE- WHERE HE SAID HOW IT WAS FIRST THE BARBARIANS WHO WAS REPLACED BY THE MONARCHY, REPLACED AGaIN BY THE RELIGION, AND THEN BY THE industry, and democracy and now the industry by what i do not know!!!?? ?all for a purpose.! we require more malleable structures and institutions…. but we are afraid of the complexities and our basic ideals are being led by mortality, so again it all comes down to the spiritual gnosis or the consciousness that has to lead humanity. Until then we play this like a game of football where we knowingly go in “taking sides” “forming groups” making formations but at the least play it fair, in the area of play. But football is not the only play which the institutions have had us believe.There are other larger plays, wider domains to which as human one has to go and come back, that is where the malleability and plasticity will be required, otherwise like in the football it gets all physical and nasty sometimes. IF you are asking me about the research results posted in the comment above yours, I dont know much about that. Did you have some other question? Sandeep. Thanks for responding. Initially, I was seeking answers to how my life had been molded by the Educational System here in the US which is depicted in the video above (I do wonder what it is like in other countries since this appears to only be indicative to our country at this particular time in history). Basically, during my Elementary Schooling years, I was conditioned to believe that I had a very low intellectual capacity and my behavior was treated with medications (ritalin) between the ages 1-6 as described in the video, as well as being diagnosed with ADD. As a result I was placed in programs suited for the mentally disabled throughout my educational experience. …Even my latest attempt to obtain a Master’s Degree where I was overshadowed by the conception that I had no means to fully reach those goals and continued to suffer from the before mentioned diagnosis. …ADD also has side effects of depression, black hole, panic attacks, low self esteem, etc. So my entire life had been under the impression that I had no mental/intellectual capacity to learn beyond a very low level rudimentary function. What I am attempting to discover is what capacities I really do have and ultimately what I can do with them? What does the Mother want to do? This situation, if you can imagine, is not unlike a person who is wrongly accused of a crime and given a prison sentence, and only later to find that he was not guilty and finally absolved of those crimes and set free. In my case I was sentenced at the age of 5 and just now 50 years later my crimes have been absolved. …This is a significant turning point. So I am at the stage where I am just beginning to sense that there is more to my intellect than I had ever imagined before – not to go as far as genius, but better than my recent history. My recent involvement with this Yoga most certainly has had a positive effect upon the release of a healthy functioning intellect. Sandeep. This is the best I can describe my situation in this nut shell above. I had attempted to discuss this with Mike recently, but was not able to fully reach a conclusion: then I was still convinced I was inadequate and attempting to prove my lower rating. Now I at least suspect that there is something higher and possible. But if you can imagine being locked up in a cage most your life and how it is to initially come out from that? I will read this blog closely to see if any specific questions come from it for you. Can you tell me what is your experiences around the relinquishment of such falsehood? Is this recent activity due to SA and M? Their teachings? …I believe so. “We were speaking of the double call on man, the demand of the spiritual being within and the demand of the world. A happier relation between the two is something that we need to work for. But before we can hope to establish the balance, the first condition is that the Reality must first be found within us and only then the true life in the world and nature can follow. This is realising of the Reality within begins with evoking the Spirit, the Divine Self within ourselves. It is covered by physical wrappings, mental and vital covers, veils. And as the Upanishad describes, with great patience we have to extract the true being through these multiple wrappings. That is how we build the inner life by first establishing that Presence, the guiding center within ourselves. It is possible that instead of the spiritual being, some mental or vital godheads may gain our confidence and masquerade as the true inner being. They may seek to dominate our lives, but even then there must be a growth of those godheads within ourselves. Once we establish the inner center, the surface being should turn into a power of inner life, because a perfect human world cannot be created by imperfect men. External patterns, external approaches cannot change or recreate our lives. External influences can stimulate but cannot replace the inner growth. External influences can stimulate but cannot replace the inner growth. Activities like knowing, feeling, doing are subordinate energies of the being within us. Nature pursues a process of revealing this being, our soul, through these powers of action, thought, feeling. And through them to exceed our external processes of body, life and mind, in order to reach and establish our true being. The Divinity dwells veiled in the spiritual center which is at the core of the being. What do we mean by being fully, living fully? It is to be wholly conscious; to be half-conscious, semi-conscious is not to be in possession of ourselves. It is only to the extent that we are conscious that our life becomes a formation of the inner consciousness. And this consciousness is not just awarerness. It is something dynamic, it carries a force of existence. This force is really will-in-action, the will inherent in the consciousness. When it moves in action, the will becomes force. This force goes into execution for the delight of existence, the delight of being. Thus to live fully within implies development of the full consciousness, development of force of being sharing the delight of being. It is a spontaneous delight that comes out of execution of the will. The delight is not caused by external factors but is something intrinsic, it is self-existent. If we are not conscious of the delight, if we miss the delight, it is a sign of imperfection somewhere. Divine living is this integral completeness in our consciousness, in force and in delight. That is as far as the individual existence is concerned. But there is another term and that is, ‘to be fully is to be universally’, you cannot shut yourself within your body, life ad mind individually. You have to be in all and be all. That is how you live universally. But to live only universally is to subject to the ignorance and limitations of the universal existence. So you must also learn to live transcendentally. And that can come only when you exceed the individual formula and the universal content. It is very necessary to exceed the cosmic movement. Otherwise the individual remains subject to the cosmic movement which is under the shadow of Ignorance. The essentiality of this integral fullness can come only in the gnostic supernature because even in the first real beginnings of spiritual life there commences a feeling of oneness with others, also something within us exceeding time and space. This inner living is the first step which leads to universalisation and transcendentalisation. It is understood that in this inner living we transfer the center of our life inwards. As things are, our center of living, center of reference, is in the surface being. We live from outside to inside. It has to be reversed and we have to live from outside to inside. The materialists insist upon the outer life governing the inner, but this process is radically changed once we step into the spiritual dimension. When one starts moving inward, they speak of a kind of inner darkness. Actually it is a reaction of the mind to the process of enlargement. When the mind undergoes the movement of self-enlargement it loses its balance to which it is normally accustomed. And it finds itself in front if a void, a silence which is really an opening to a greater existence. But the mind is afraid, the mental ego is afraid that it will be swept away and there is that quaking with fear. In all ways inward turning is the first step towards universality. Our present means towards universalisation is only a constructed unity. The mind believes that there is only unity and it erects an artificial structure of world unity. It is not natural, not real. In the gnostic life there is a common consciousness of the oneself and of others. Action does not proceed out of surface sentiments but intimate oneness. Human unity ideology but from a oneness that one feels from within. And that can arise when the consciousness is refined, enlarged and it embraces the consciousness of others. When that is done, there is no question of clash because there is no separate ego. The ego which keeps us divided from others, which makes my actions clash with the actions of others is no longer there. And whatever action one does is a fulfillment of a Divine Will. The Divine Will in myself and the Divines Will in others, will be one; there will be no clash when the One Will works in a number of people. There is an automatic adjustment between my will and your will. That is how individual perfection, thought it starts with oneself, fulfills itself in others. Individual perfection fulfills in relations with others at the level of perfection. That is, each individual in perfecting himself helps the others to arrive at a similar perfection. And both these perfections—individual perfection and perfection in the relations of the individual with others,—contribute towards a a new world or a change in the total life of humanity, because at every step there is an automatic regulation of one’s state with the state of others. But to make this possible, a natural functioning of mutual relations on the basis of a Divine Will is not possible in human society as a constituted at present. The necessitates special collective societies. The societies today, what are called physical collectivities, are held together by facts of life; geographically they are in one place, economically they are one unit, politically perhaps they are governed by one system or they belong to one religion; whatever it is collectivities as they go are held by circumstances. But a gnostic collectivity, in which alone an individual perfection, is held together by common consciousness, not an outer structure, holding all things together, but an inner common consciousness consolidating the common life. In simple language, all becomes souls of a single Reality. And in this society, there is a self-building of spiritual forces; egoistic movements, mechanisation, standardiasation etc. are mental methods, but in gnostic communities there is no statndardisation or regimentation. There is a great diversity; as there is a diversity among individuals so be between gnostic communities also there will be a natural diversity. But this diversity does not lead to opposition but to automatic correlation, because there is no ego insistence. There is a single consciousness-force of which all become the instruments. This single consciousness-force, you may call it the Shakti, acts as a super-nature in all individuals. This force of super-nature exceeds the formulations of ignorance of the present nature. When the spiritual Self arrives at this state it is always full of inalienable joy and plenitude. There is a great abundance. And what is more important, the gnostic individual knows how to lead and also how to subordinate himself. He knows and lives in the truth of an inner spiritual hierarchy, which is not incompatible with the fundamental spiritual equality. Apparently one may occupy a higher position in the hierarchy but it does not effect the spiritual equality which all have. To sum it up this part of the argument, unity is the basis of the gnostic consciousness, not a constructed unity but a spontaneous self-building unity based on a single consciousness. And mutuality—caring for each other, giving to each other—is the result of oneness in diversity. Inspite of an apparent diversity, there is a oneness at a level of consciousness. And this automatically reflects itself in mutuality; and harmony in the inevitable power of the working of its force. So unity, mutuality, harmony. M: “To the human way of understanding, the world is terribly immoral, full of suffering and ugliness, especially since the appearance of the human race. So it is difficult for the human consciousness to accept that this world could be the work of a personal God, because for man it seems to be the work of an omnipotent monster. But SA adds that it is better to try to understand instead of condemning. And surely the best way to understand is to unite with this Supreme Consciousness so as to see as It sees and understand as It understands. This is certainly true wisdom. Glad to hear you were only too busy to get around to my posts. 🙂 Thank You. Thank you so much for your reply and please forgive my earlier state of ignorance. Peace. This is all very true. In my opinion the best way to control the mind and make it one-pointed is to focus on the “I” thought-feeling, just like Ramana Maharshi and Nisargadatta recommended. With practice you will start to feel bliss and thoughts will automatically subside. This(concentration on “I”), as a method of silencing the mind quickly is inevitably discovered by someone who practices Sakshi Bhav regularly. I practiced the latter method. With daily struggle to keep myself aware of my thoughts and feelings and then graduating to witnessing the Thinker(The mental-“I”..or Mental Being)for the first few months, I found that it was better to seek and reach the stage of watching the Thinker straigtaway, as when one watches the Thinker, thoughts die away naturally. The “I” then shifts to a new level, which now has to be uncovered/gotten conscious of. Most novices would find it difficult to graduate to seeking the “I” straightaway, until they have calmed down their thoughts and perceived it a few times, coz then they would know from experience what they are to seek(as in my case). In 1999, Sugata Mitra was chief scientist at a company in New Delhi that trains software developers. His office was on the edge of a slum, and on a hunch one day, he decided to put a computer into a nook in a wall separating his building from the slum. He was curious to see what the kids would do, particularly if he said nothing. He simply powered the computer on and watched from a distance. To his surprise, the children quickly figured out how to use the machine. ….And yet the dominant model of public education is still fundamentally rooted in the industrial revolution that spawned it, when workplaces valued punctuality, regularity, attention, and silence above all else….That’s why a new breed of educators, inspired by everything from the Internet to evolutionary psychology, neuroscience, and AI, are inventing radical new ways for children to learn, grow, and thrive. To them, knowledge isn’t a commodity that’s delivered from teacher to student but something that emerges from the students’ own curiosity-fueled exploration. Teachers provide prompts, not answers, and then they step aside so students can teach themselves and one another. They are creating ways for children to discover their passion—and uncovering a generation of geniuses in the process. The human mind can rapidly absorb and analyze new information as it flits from thought to thought. These quickly changing brain states may be encoded by synchronization of brain waves across different brain regions, according to a new study. A new study, which may have implications for approaches to education, finds that brain mechanisms engaged when people allow their minds to rest and reflect on things they’ve learned before may boost later learning. Scientists have already established that resting the mind, as in daydreaming, helps strengthen memories of events and retention of information. In a new twist, researchers at The University of Texas at Austin have shown that the right kind of mental rest, which strengthens and consolidates memories from recent learning tasks, helps boost future learning. The results appear online this week in the journal Proceedings of the National Academy of Sciences. Margaret Schlichting, a graduate student researcher, and Alison Preston, an associate professor of psychology and neuroscience, gave participants in the study two learning tasks in which participants were asked to memorize different series of associated photo pairs. Between the tasks, participants rested and could think about anything they chose, but brain scans found that the ones who used that time to reflect on what they had learned earlier in the day fared better on tests pertaining to what they learned later, especially where small threads of information between the two tasks overlapped. Participants seemed to be making connections that helped them absorb information later on, even if it was only loosely related to something they learned before. “We’ve shown for the first time that how the brain processes information during rest can improve future learning,” says Preston. “We think replaying memories during rest makes those earlier memories stronger, not just impacting the original content, but impacting the memories to come. Until now, many scientists assumed that prior memories are more likely to interfere with new learning. This new study shows that at least in some situations, the opposite is true. I would like to share my own experience, for what it’s worth. I will try to keep it short, but here it goes. I was studying for the IIT in my Intermediate (11th and 12th) and, coming from an educational background where memorizing text and images was given the most importance, I was very bad at all the subjects that required a good understating of different concepts, and application of thought to solve complicated problems pertaining to these concepts. I was also a big fan of Sherlock Holmes and imagined myself to me some sort of great logician. Physics fascinated me more than Mathematics or Chemistry, but my understanding wasn’t all too good despite reading and re-reading multiple books multiple times (- I can remember “Concepts of Physics” by H.C.Verma, one by Resnick Halliday [which I purchased due to the attractive cover and the fact that it was being used by some of the class intelligentsia], “Problems in Physics” by I.E. Irodov, and a solution manual for the same). Due to my poor understanding I couldn’t even solve the very first problem in the book by I.E.Irodov, or for that matter understand the solution presented in the solution manual. One day it happened we had a new teacher who solved the problem (one involving a raft going downstream) from the frame of reference of the raft (as opposed to that of the shore), and, that turned out to be the single most significant event in my life so far – hearing and understanding the solution resulted in some kind of a “revelation”, if I can use that word – in a few heartbeats everything made perfect sense – all that I had been reading – and it changed me forever. I then started re-reading the H.C.Verma books, kept understanding every bit of those, was able to solve most problems by using logical reasoning and my understanding of the concepts; logical thought started creeping into most other aspects of my life, one result of which was that I changed from a staunch believer in God (and by that I mean the force that grants one’s selfish wishes if one were to go to a temple and offer some money and do some rituals…all that stuff), to a rationalist who questioned everything. P.S. I then happened to study in the Amrita Engineering College whose library had a wealth of books on Physics and Spirituality, among other things; I was mostly reading different books on Physics; I remember it as a random urge that caused me to even go to the Spirituality section – but it was probably the thought that conventional scientists/physicists, while able to study and answer (or get close[r] to answering on some level) many of the fundamental questions, get to die before knowing all the answers, so there was perhaps something different in the approach followed by the authors of these spiritual books; also perhaps the fact that I come from a background whose childhood was spent on Indian mythological tales and the factoids picked up such as the mention of the speed of light in one of the Vedic hymns. 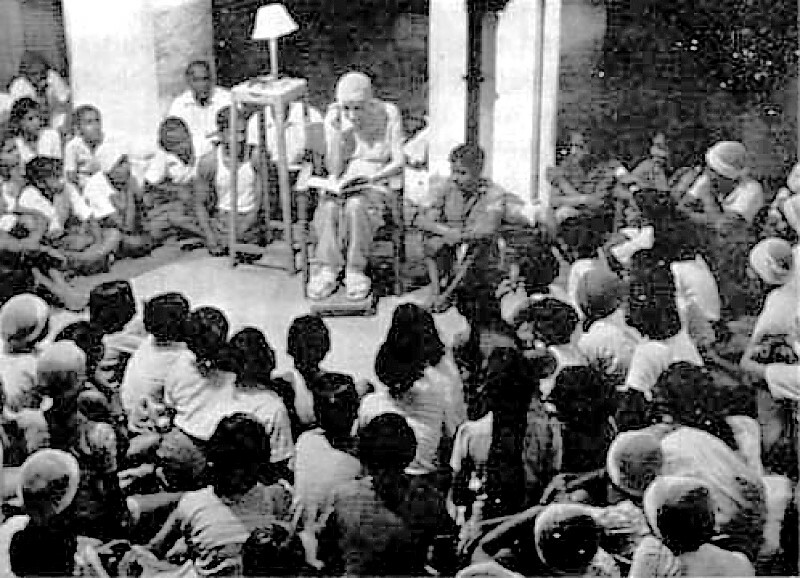 It was here I got introduced, among other things, to Aurobindo’s work through Satprem’s “The Adventure of Consciousness”, which I found to be an easy and even entertaining read, compared to Auribindo’s own works. P.P.S. While my lack of “success” in my path of spirituality, combined with other factors like joblessness, caused recurring thoughts of suicide, things were alright after getting a paying job; I had not tried smoking, drinking, or any mind-altering substances at all in my life, until an “onsite” opportunity and nearly 4 years later, my life (and money) went down the drain primarily due to different addictions – substance and otherwise; what started out as a mere scientific experiment to observe the effects of alcohol on the body (and the mind) eventually turned into something far more dangerous – which I attribute to my “pleasure seeking” mentality and inability to escape from the clutches of desire, coupled with a cultural shift where some things are more easily available and more socially acceptable, and also the fact that I had no one to answer to. It has been a couple of weeks of sober living, and, like the past many nights, I had to turn to spiritual study to combat these intense cravings – which are at their strongest tonight (- it being the New Year’s eve) – and it was quite a coincidence that clicking through multiple web links brought me here, made me recollect some of the defining events in my life, and put down what is relevant to the topic (along with stuff that isn’t very relevant to the topic). I’d like to know the exact term for this “special faculty”. Thanks Sandeep. Very insightful passage from The Agenda. I look forward to rereading your blog too.